Mothers and children lives adversely affected by short term housing! Protest Friday 1pm Bridge House. Last year, a single mother from Newham, who has 3 children, was moved by Newham council and housed outside of London in Hertfordshire. Now, over one year later, her temporary contract has ended and she has been offered yet another short term contract, but this time in another new place outside of London, in an poorly maintained house in Birmingham, which has rotting cupboards and broken gates. How many times will she be shoved from pillar to post? This mother’s plight shows the utter insecurity of current housing policies and the disruption that is caused by social cleansing. Single mothers face enough pressure without housing insecurity thrown in on top. Their children’s lives are also being adversely affected by not having a secure and stable home environment. This is how social exclusion begins as families are unable to fully take part in their communities due to constantly having to move, they are left isolated when placed 100s of miles away from their wider family and support. Children lose friendships due to being forced to change schools time and time again. 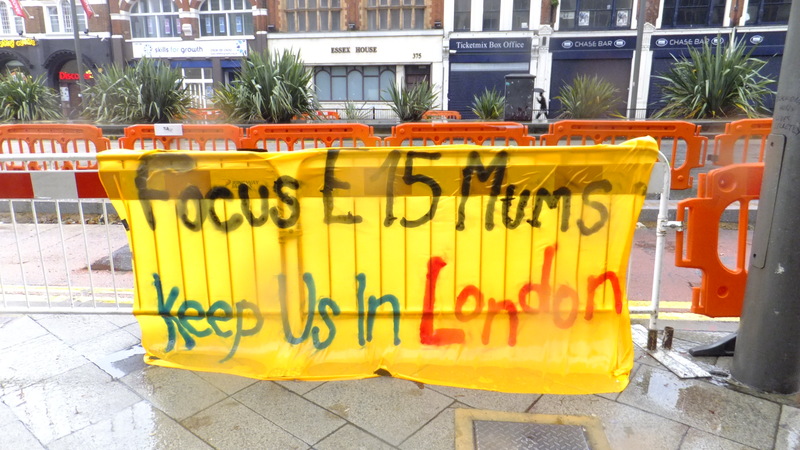 The Focus E15 campaign supports the right of single mothers to bring up their children in a long term secure environment near to their support networks and extended families. Stop playing political football with their lives. Please support this mother who is asking to be housed near to her support networks in London or to be left to stay in Hertfordshire where her oldest child is at school. 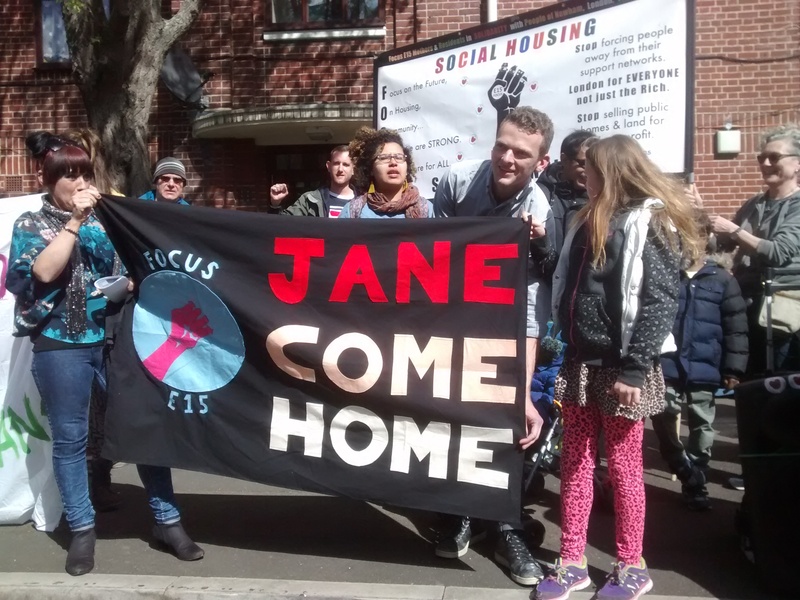 You can give support and solidarity for this mother at her housing appointment on Friday 29 May, 1pm. 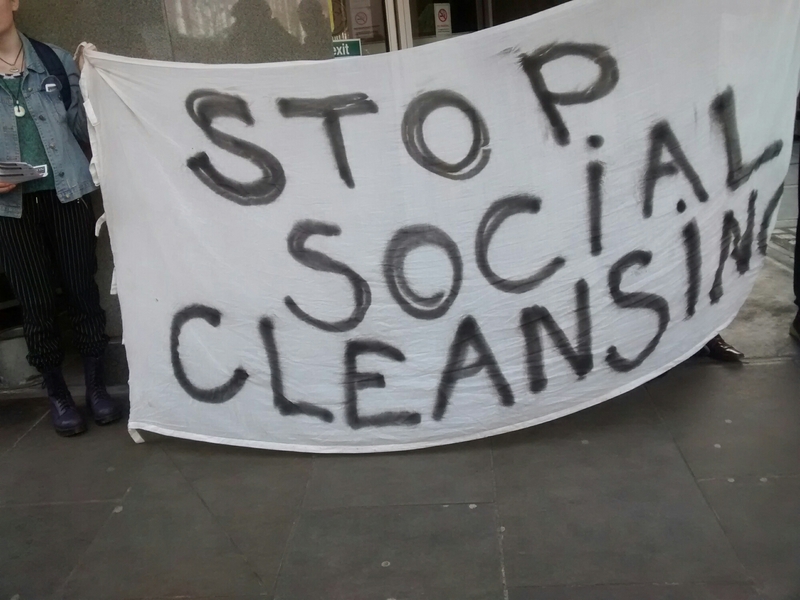 Come and stand outside Bridge House 320 Stratford High Street, Stratford E15 1EP in solidarity. Tell Newham council that single mothers deserve our support and should not be left stranded! 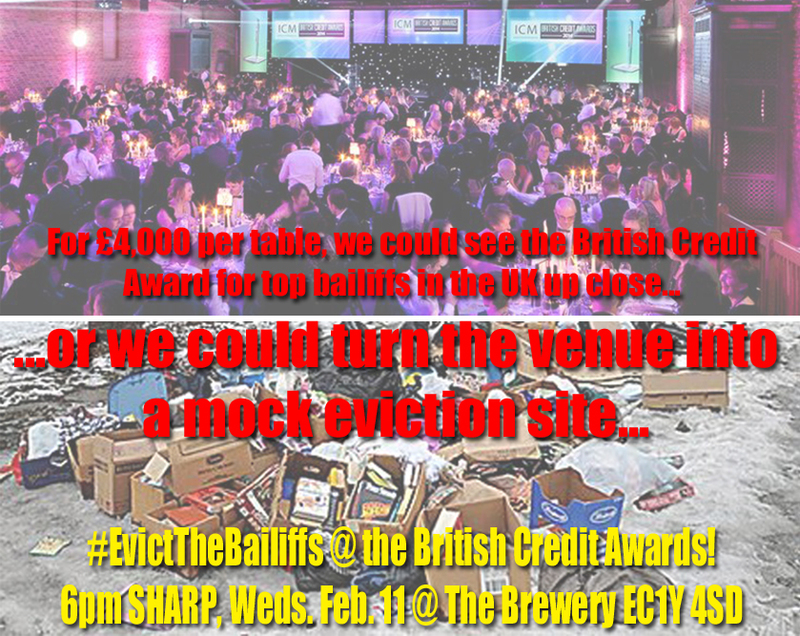 #EvictTheBailiffs at the British Credit Awards! 11.02.15, 18:00 SHARP! Focus E15 invite you to the Brewery (52 Chiswell Street, EC1Y 4SD) for 6pm sharp on Weds. Feb. 11, to welcome those arriving at the 2015 British Credit Awards’ £4,000-per-table black-tie affair, in which bailiffs and debt collectors will be receiving awards for making families homeless. Since companies like ‘The Sherriff’s Office’ receive nominations by throwing people and their belongings out onto the cold streets of London, we intend to turn the front entrance of the Brewery into a mock eviction site for attendees to experience before an evening of champagne, three-course dinners, and the kudos of their peers. 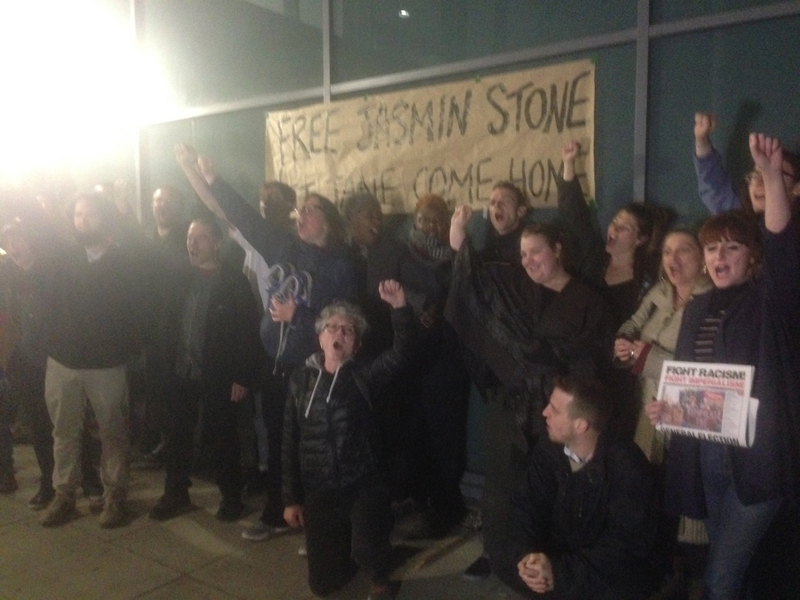 We encourage a peaceful but outraged action, and particularly hope those with first-hand experience of bailiff evictions will come out and share their stories with attendees as they enter the venue. SPREAD THE WORD! EVICT THE BAILIFFS!